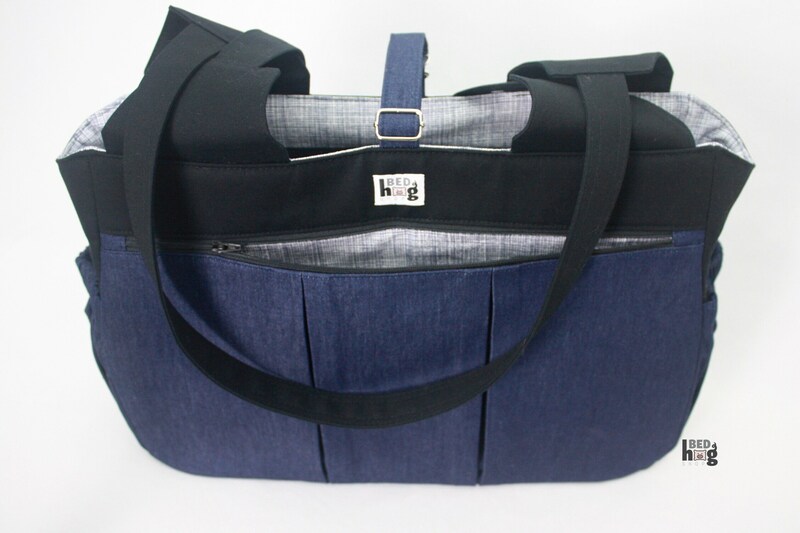 as well as plenty of room for other gear. 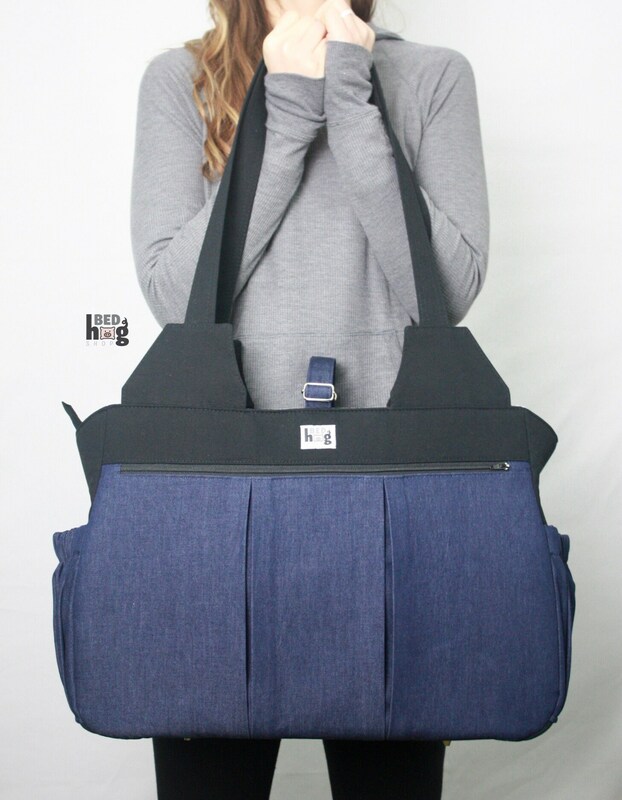 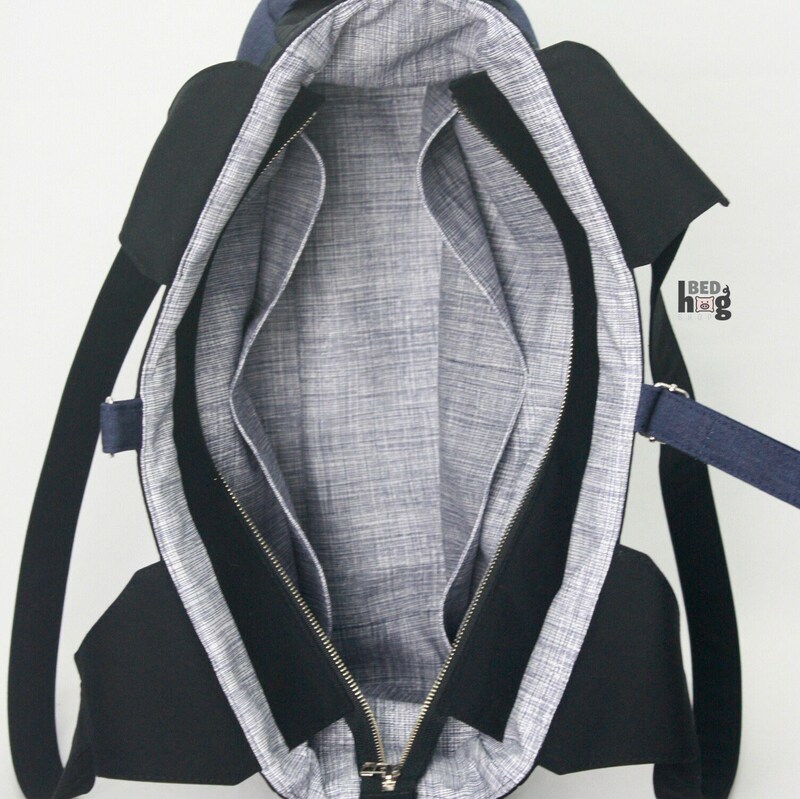 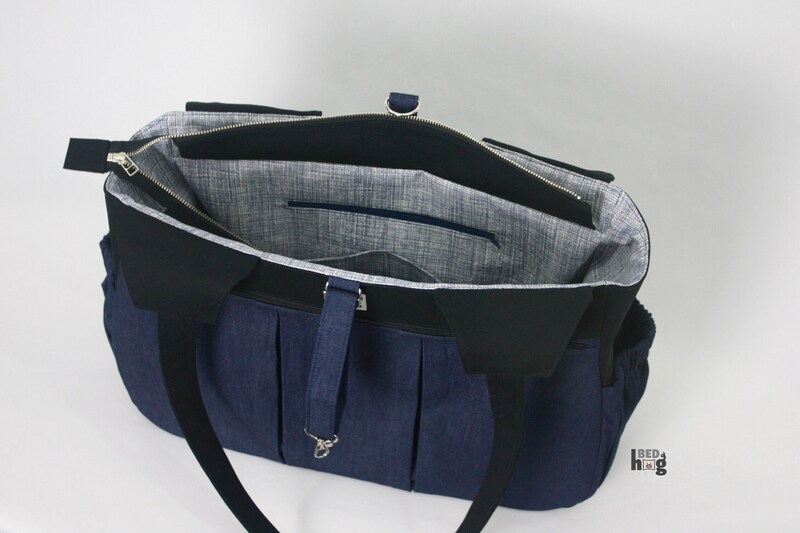 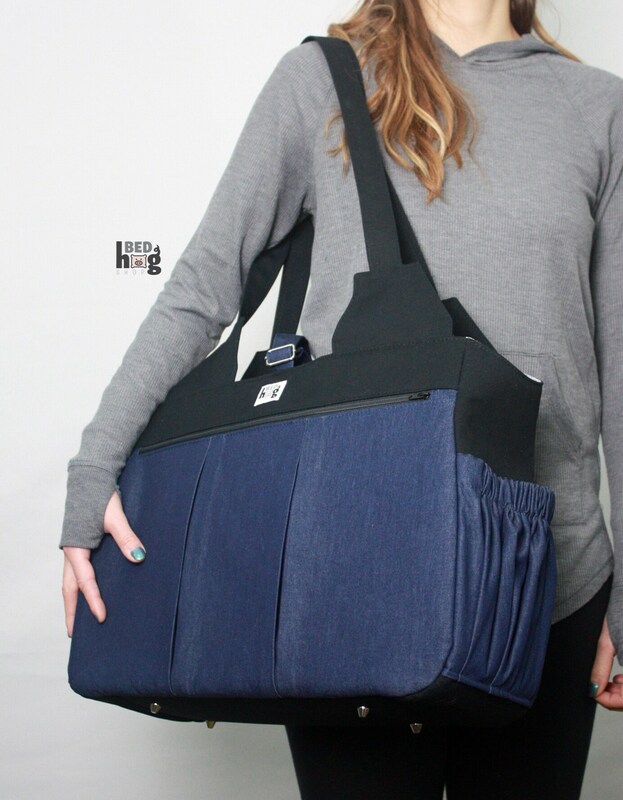 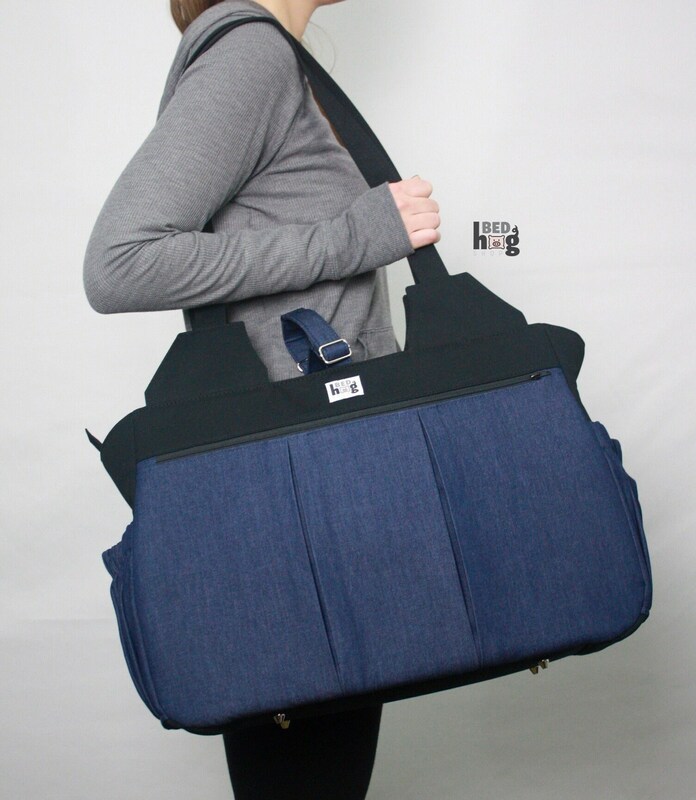 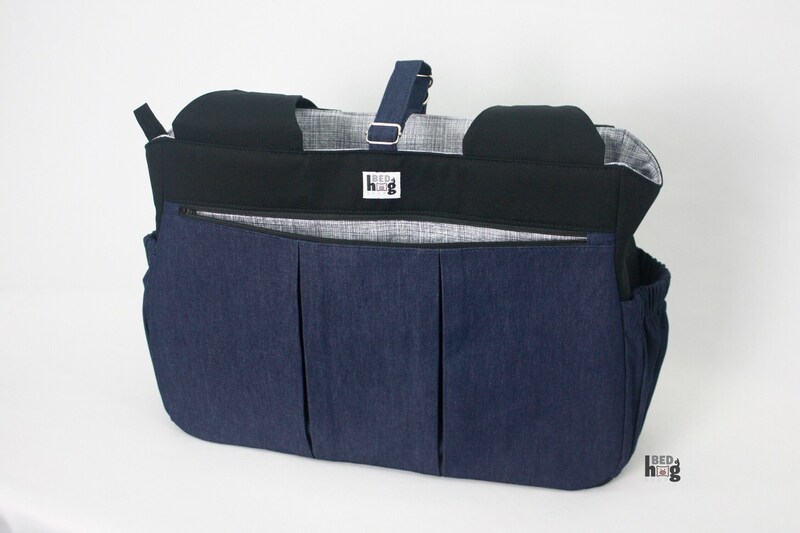 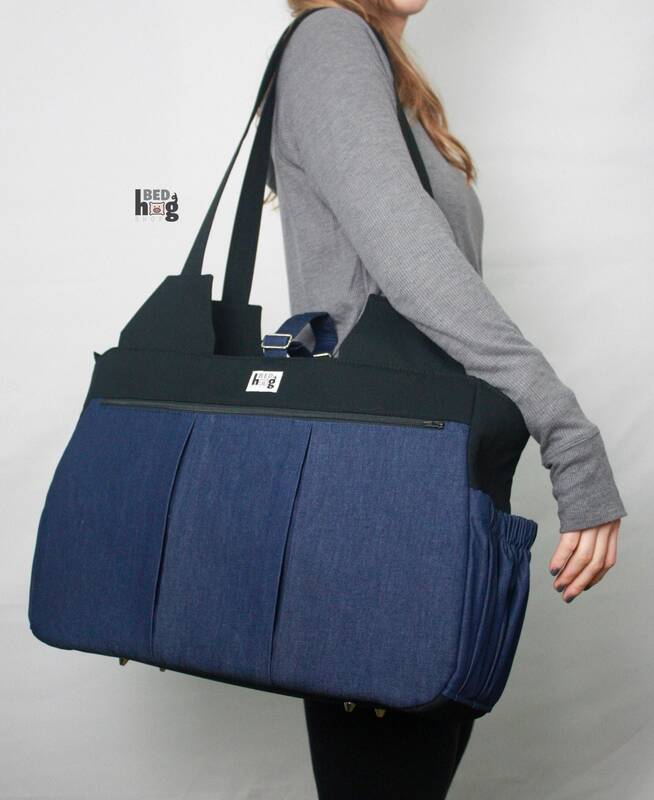 This bag is made from dark wash denim fabric, lightweight cotton canvas and cotton. 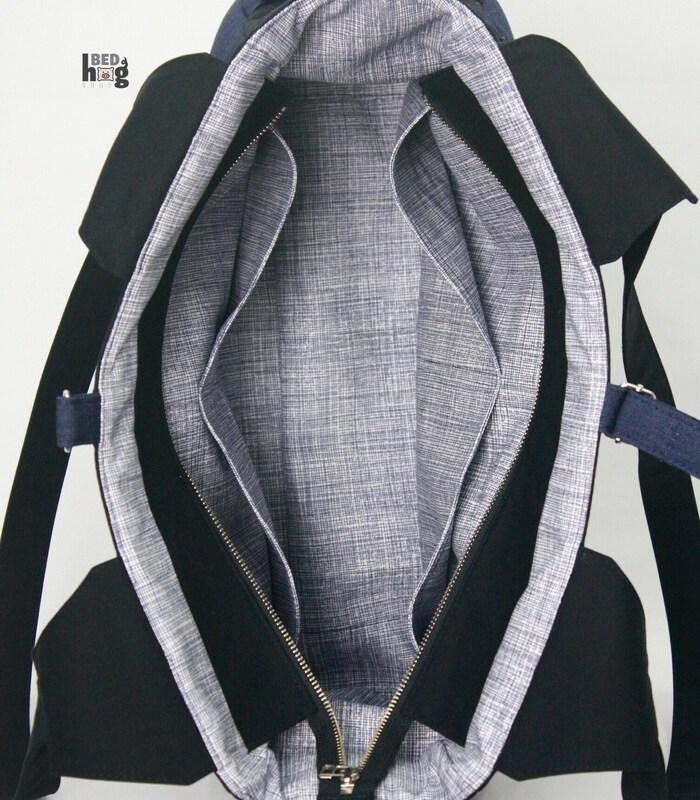 Two long drop handles.